"Party game coming to major consoles!" Sudden Event Studios and Whitethorn Digital are excited to announce their frantic blast of a party game BOMBFEST has arrived on Nintendo Switch™, PlayStation 4, Xbox One and Windows PC for $19.99! 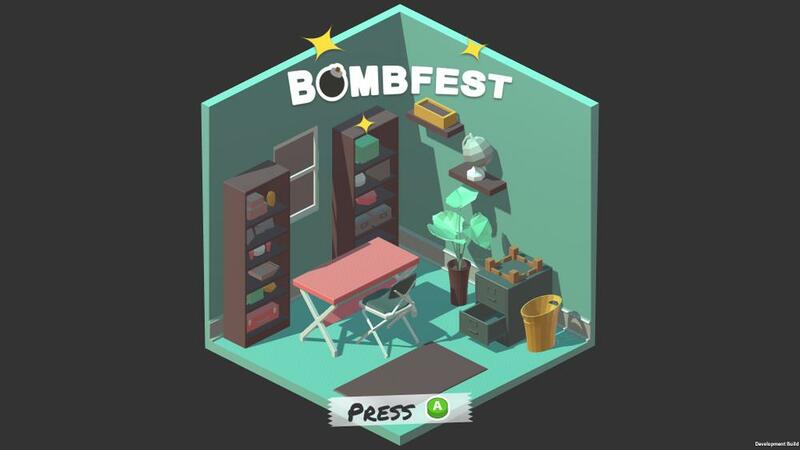 Battle with bombs and try to be the last player standing in BOMBFEST, a local multiplayer game for you and up to three friends. Whoever's left standing at the end of each round earns the most points, and the player with the most points at the end wins. Duke it out in wooden forts, on folding chairs, and inside the kitchen sink as you attempt to eliminate your foes - but don't get caught in a chain reaction of explosions! Bombfest can be picked up right now on Xbox One.